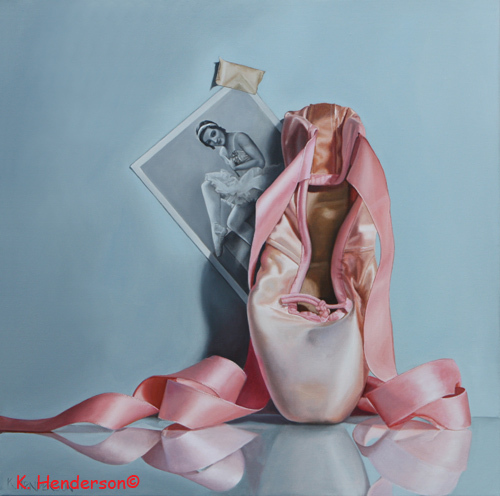 I attended ballet classes for years.I was in class 4-5 days a week. Alas, Ballet was not my true talent. 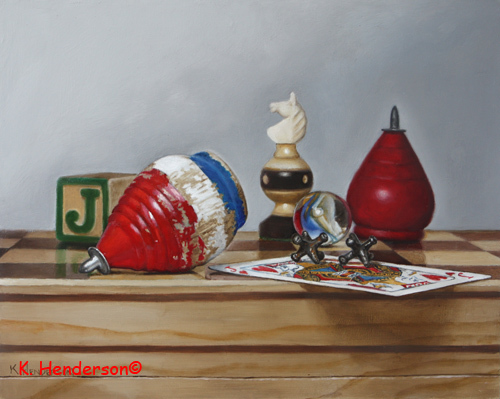 But I was pleased to find a pair of my old toe shoes and use them in this painting. 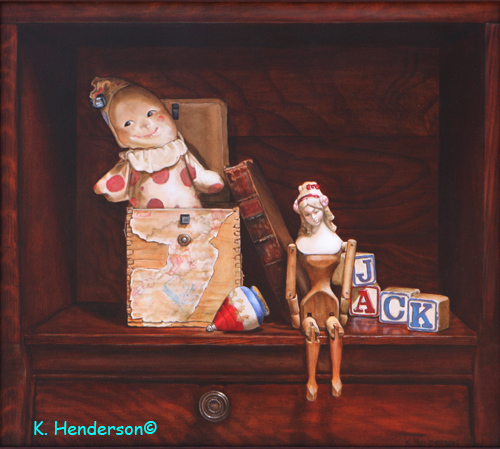 Jack-in-the-Box is oil on masonite, 16″ x 18″. The toys are from my collection of early 20th century toys. The toys include a jack-in-the-box, a spinning top, alphabet blocks, and a jointed doll with a china head. 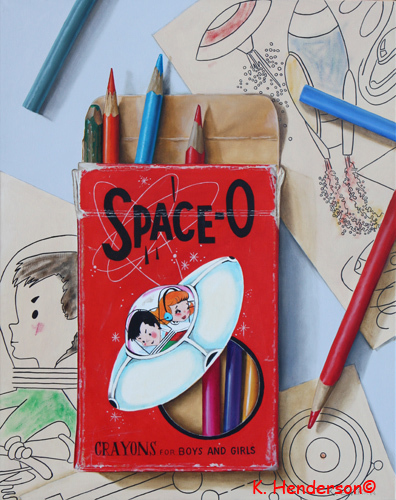 Also in the painting is an antique book. 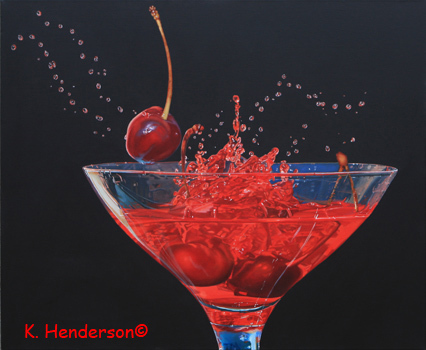 I did a similar painting to this last year and I enjoyed painting it so I decided to revisit the subject. These are some vintage toys from my collection. Wooden Blocks, spinning tops, playing cards, chess, and marbles are all toys or games that have been played with by many generations of children. 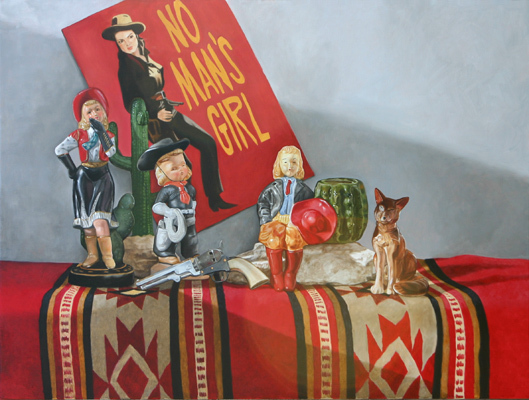 When the Dews Fall is oil on canvas, 30″ x 30″. 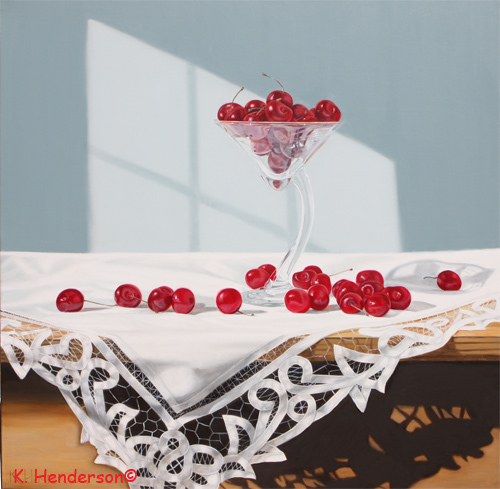 The cherries are in one of my favorite glasses, the sun is shining through the window and a piece of battenburg lace drapes the table. 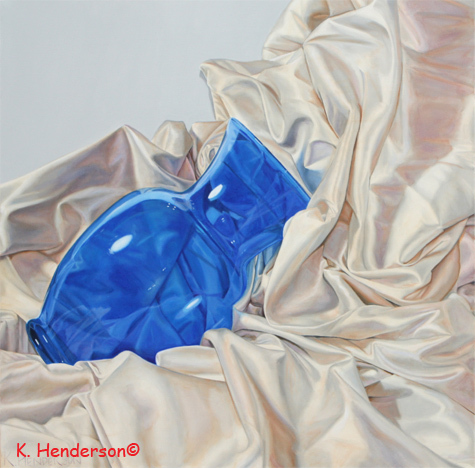 Blue Vase and Silk is 30″ x 30″ oil on canvas. This painting took FOREVER to complete. I started it with a grisalle underpainting (a black and white painting) and then applied layers and layers of color to the vase, each layer having to dry before the next layer was applied. Many challenges in this painting. 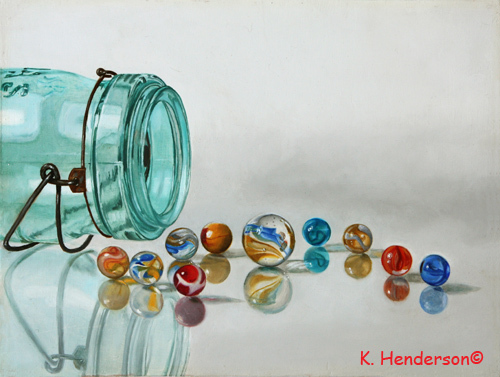 I had to paint the blue vase plus the fabric behind the vase and the reflections in the vase. And the silk! My favorite fabric. It seems to capture and reflect all the colors of the rainbow. I love creating paintings with lost of different textures. 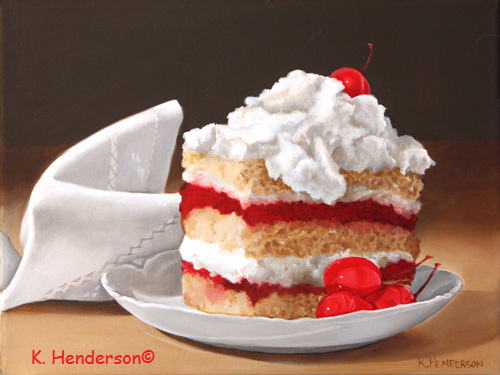 The shine of the bone china, the rough cake and the fluffy whipped cream were all a joy to paint.